I had pain in both knees from the outset on this run, which was a little worrying as I’ve never really suffered with knee problems before. By the last mile, the outside of my left knee was really giving me pain and I had to walk for a bit letting the other runners go on without me. I planned a few days cross-training to rest my knees, as I didn’t want to aggravate the pain with my triathlons so close. I started the day with a class at work- our bikes are low-impact on the joints so I didn’t have any problems with my knees throughout. I took part in an amazing yoga class held outside at the Serpentine Pavillion in Hyde Park. Around 300 yogis joined the class lead by Celeste Pereira, we flowed through a vinyasa sequence as the sun set over the park, before heading inside the pavilion for drinks and music. Although yoga is not strictly part of triathlon training, I find it really helps to stretch, realign and balance my body. Another fantastic class at the studio in the morning, followed by an evening yoga session at ELB fitness. I intended to fit in a swim today, but feeling pretty tired and drained I took a rest day. My knees were feeling much better after double yoga and a days rest, so I decided to try parkrun. I ran the 2 miles to starting point, only to find that parkun had been cancelled for the fun-fair and summer fete- D’oh! I’m not a regular parkrunner so I should have really checked the website beforehand! I carried on for another 3 miles as my legs were feeling good, thankfully the knee pain seems to have subsided. The rest of the day was spent exploring Borough Market, Covent Garden and Carnaby Street for Glen’s 34th Birthday. My club had an epic 62 mile pub crawl on bikes cycle route with food/drink stops planned for Sunday. Glen and I decided to join them for 20-30 miles, as we had to get back for his Birthday celebrations in the afternoon. I absolutely loved this ride out, I know I say this every time, but I’m really gaining confidence on the bike. We stayed together in a large group, stopping every few miles to wait for slower riders. It was a very hilly route, but I managed the climbs fairly easily and really allowed myself to pick up some speed on the downhills. We reluctantly left the group when they made their first stop at a cafe for some food. We both would have loved to stay for the whole route, but 33 miles was all we had time for this weekend. I really fancy challenging myself to a ride London to Brighton now, hopefully someone from the club will be able to lead us along the route. 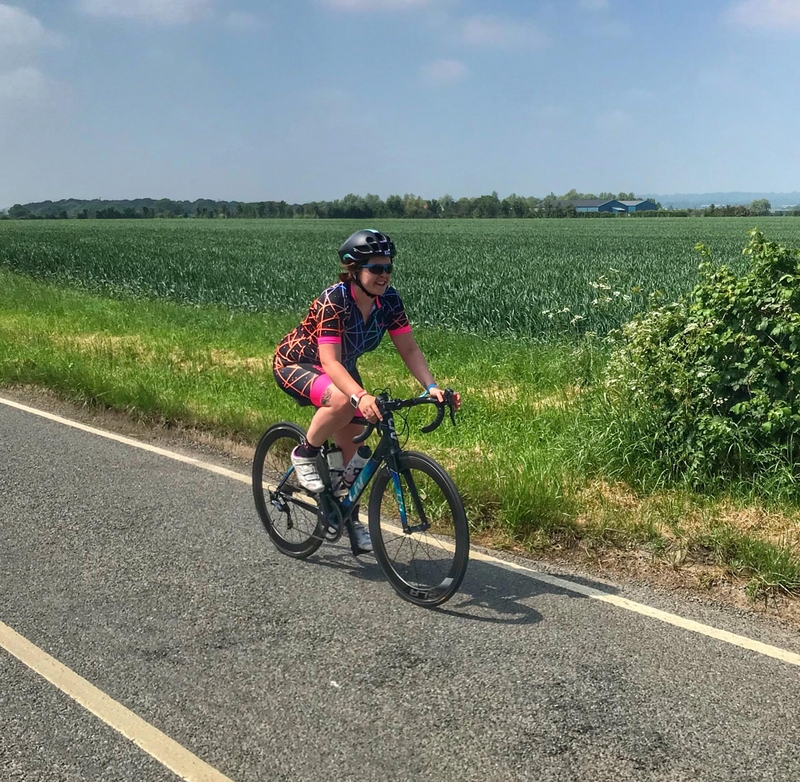 I’m looking forward to the bike portion of my triathlon next week, as I’ve come so far with my cycling this summer, I’d like to get a measure of how much I’ve actually improved. I’m training for the Tri Together triathlon on 31st August, to raise money for people with disabilities. As well as the Tri for Life triathlon on 7th September which funds a variety of causes including Great Ormond Street, Teenage Cancer Trust and Rays of Sunshine for seriously ill children. I’d really appreciate any sponsorship for either cause, through my Just Giving pages here and here.